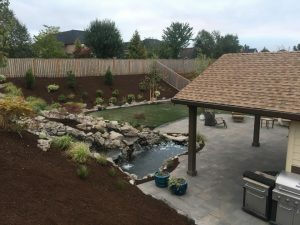 This photo give a view of the pond, paver patio and most the backyard landscaping we built. 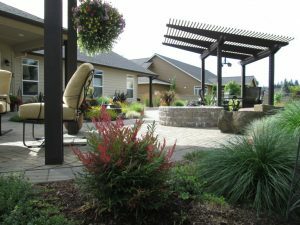 We are hiring dedicated landscape Industry Professionals. You may ask. What does that mean? 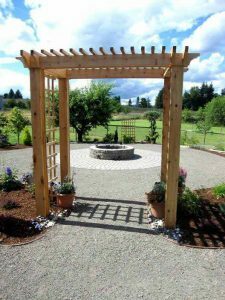 Our team at Woody’s Custom Landscaping, take great pride in all the landscape construction jobs we install. We want dedicated, knowledgeable, intelligent and motivated employees that can help us grow while we help them grow. Most of our employees have been with us anywhere from 5 to 10 years and love working with each other. 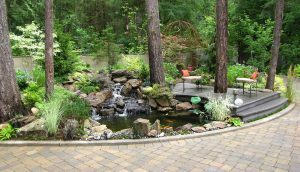 The hillside has been tamed with rock walls and a wide gravel pathway to stroll the garden. If you think that you would like to see if you would be a good fit in our company? Please give us a call at 360-687-1882 or use our contact us form. 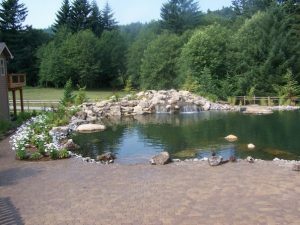 We would like to see at least 3 years experience, a good employment record and of course a current Washington drivers license as well as any certifications in the landscape and hardscape arena. Below are some more photos of projects we have built. 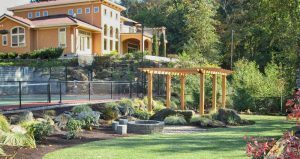 This residential landscaping was built including the sports court. This was built during winter and into April a bit. It took a competent landscaper and landscaping crew. 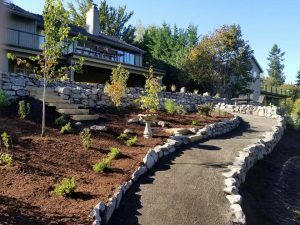 We offer landscape construction employment and are hiring landscape industry professionals who are dedicated to the industry.